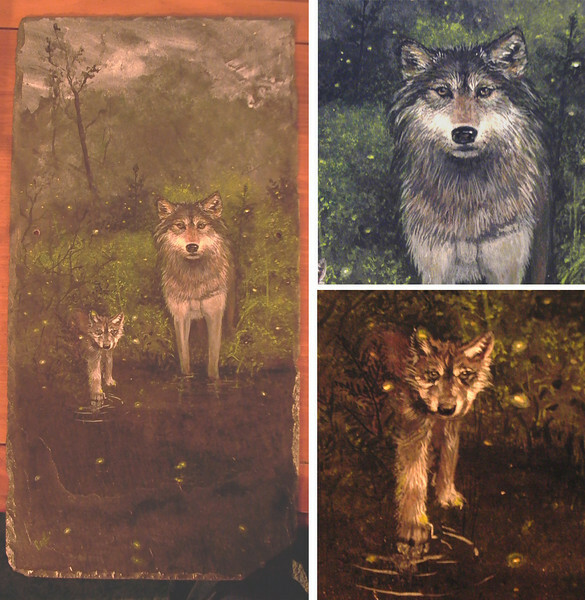 After receiving sheets of barn roof slate from my Aunt in Zelienople, Pennsylvania, I painted the mother and baby wolves. The color of the slate made it wonderful to do a nighttime painting. I left a lot of the original color as is and pulled the fur and other images out of it. A clear acrylic gloss finished off the piece. It sold to a local client.